Ruffstuff Specialties of Loomis, California is a company born of imagination and the will to succeed. Starting from humble beginnings their story tells a tale of what seems a bygone era. The American dream of entrepreneurship is not wasted on this small manufacturing company who has worked with a smaller budget capitalizing on the industrial slow down of the great recession. 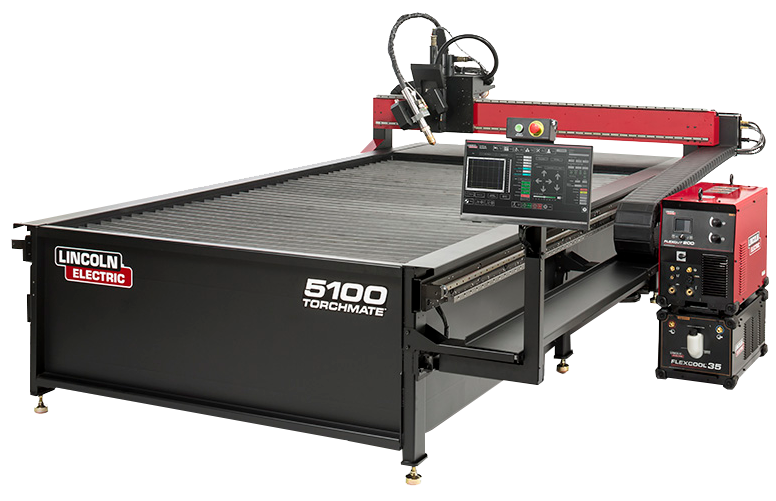 They have tasked machine shops and jobber shops to help their company grow and develop a market for home fabricators looking for an assortment of brackets and tabs. 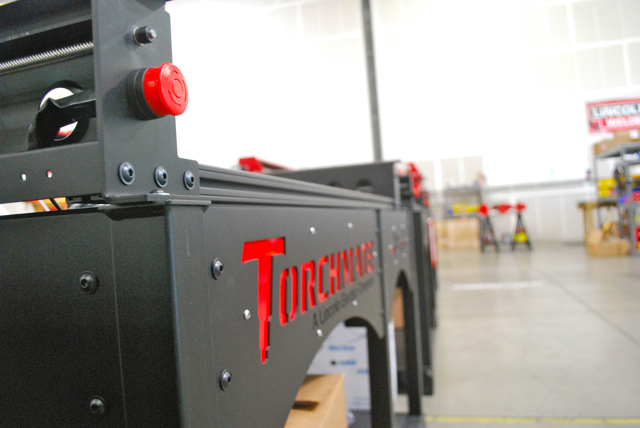 Torchmate deeply discounted and shipped a Torchmate 3 CNC cutting system to Workshops for Warriors which helps teach military veterans technical job skills preparing returning soldiers for careers in manufacturing. At the Academy of Arts, Careers and Technology in Reno, Nev., students are learning to fabricate and prototype on the same Torchmate robotic technology that is the preferred tool of aircraft engineers, ship builders and the U.S. military. 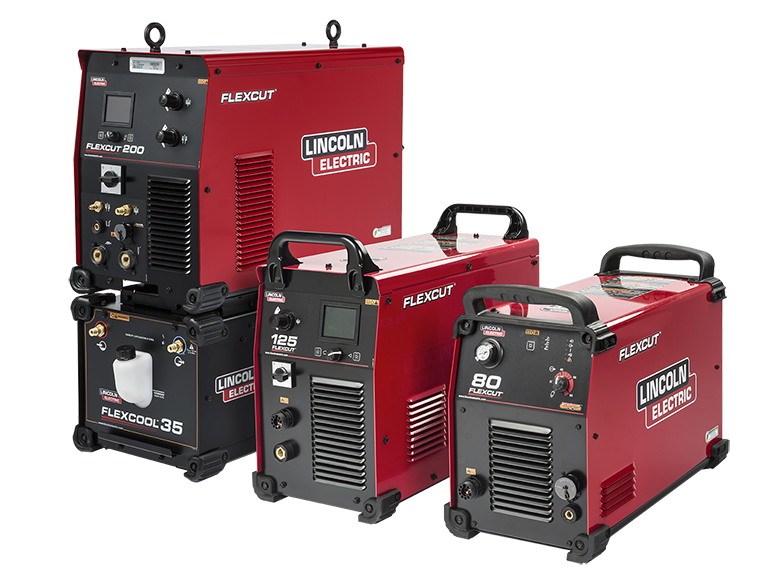 Plasma cutters work by sending an electric arc through a gas that is passing through a constricted opening. The gas can be shop air, nitrogen, argon, oxygen. etc. This elevates the temperature of the gas to the point that it enters a 4th state of matter. We all are familiar with the first three: i.e., solid, liquid, and gas. The plasma-arc process had its origin almost 50 years ago, during the height of World War II. In an effort to improve the joining of aircraft materials, a method of welding was developed that used a protective barrier of inert gas around an electric arc to protect the weld from oxidation. A pretty good indicator of the reliability of a company is how long it has been around! The photo below shows a number of National magazines from 1980 - 1982 containing one to four page feature articles on our Torchmate cutting machines. Our Torchmate pantograph flame cutting machine won the "Product of the Year" award in 1980 from Welding Design and Fabrication Magazine. Depending on whose web site you visit, you will be offered a variety of reasons why their type of electronics and motors are better than the rest. The purpose of this page is to give you the straight facts, without distorted torque figures or unrealistic cutting speed claims. The Torchmate CNC machine cuts out the entire 4' x 4' plate full of owl shapes automatically from 1/8" mild steel. The finished owls measure approximately 8" x 8", and sell wholesale to dealers for $20 each. The entire run of 33 owls was completed in one hour, at a cost $1.75 each in steel and plasma torch consumables. That comes to $602 profit for an hour's work. It is no secret that manufacturing is rapidly transforming from a hands-on, drill-cut-and-weld field to an industry that is automated, technical and computerized. These new technical manufacturing techniques require a workforce that is highly trained on the computer systems and automated machinery that is now a part of fabrication at all levels — from airplane builders and off-shore oil rig manufacturers to mechanics and small shop hobbyists. It might go against our preconceived idea of the hands-in-the-soil farm worker, but over the last decade, the American farmer has gone high-tech. GPS-unit-controlled tractors, computer-automated spraying, and CNC machine manufacturing are just three of the ways that farmers are squeezing out more productivity and increasing efficiencies by harnessing technology. My expertise is with CNC (Computer-numeric-controlled) automation, and how it allows farms to repair, customize or fabricate the machinery they need to plow or harvest their crops quickly and efficiently on-site. 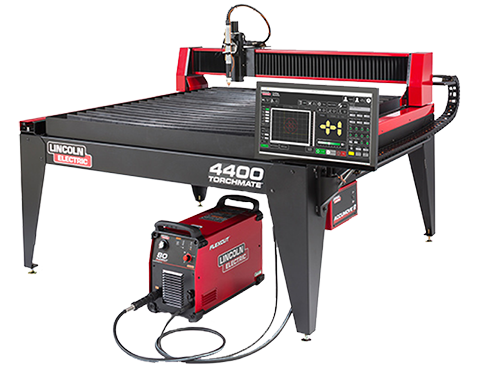 Here are three ways a CNC machine can save farmers and farm repair shops time and money.